The share of Americans listening to podcasts increased by 18% from May to November 2014, according to Edison Research. This is no doubt in part to the success and addictiveness of Serial, but the producers at This American Life can’t claim all the credit. The media format has matured: People carry around devices that give them immediate access to a vast library of shows and now cars are providing the internet connectivity the format needs to be more widespread. In addition, there is just more good content. NPR's wide range of content and other legacy shows such as Stuff You Should Know once dominated the charts. Now, you see brand podcasts and shows produced by entrepreneurs in the top lists. John Bonini has adopted the channel for his latest venture. He recently launched Louder Than Words, a podcast where he interviews writers, artists, marketers, designers, and creatives about their work and creative process. It was featured in the Business New & Noteworthy section on iTunes in its first five weeks. Agencies have also latched onto this "renaissance of podcasting" as a way to stand out in a deluge of written content and to attract and educate their ideal client. "As marketers, we've conditioned ourselves to optimize our activities by when people are at work," Bonini said. "Blog posts in the morning. Emails in the afternoon. Podcasts, on the other hand, are now allowing us to expand our reach into the morning and evening commute among other off-peak hours. If you're offering a great experience and allowing an audience to get a better look into your personality on their own time, is there really a better way of building brand equity?" 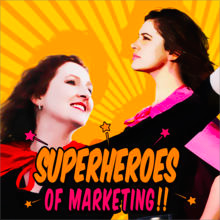 Kelly Kranz of OverGo Studio and Alisa Meredith of Scalable Social Media co-host Superheroes of Marketing. Kranz and Meredith interview experts on marketing best practices and provide advice for small- to medium-size businesses. 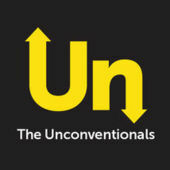 The Unconventionals has been telling the stories behind stand-out brands since 2012 and has featured Warby Parker, UNREAL Candy, and Converse. It's hosted by Mike O'Toole, the president of PJA. 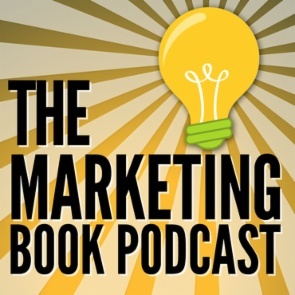 Douglas Burdett hosts The Marketing Book Podcast. Each week, he features an author who can speak on current trends and provide tips on marketing and sales. Burdett is the founder of Artillery, a B2B agency. 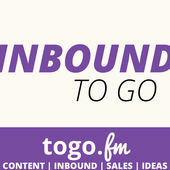 ToGo.fm is a network of podcasts, including Inbound To Go, Content To Go, and HubSpot To Go. Chris Handy, founder of Think Handy, hosts the shows and launched the network in April. 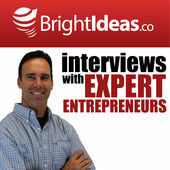 BrightIdeas is run by Trent Dyrsmid, who is the founder of Groove Digital Marketing. Dyrsmid has interviewed more than 188 marketing experts, agency owners, and entrepreneurs about what digital marketing tactics and tools they are using to grow their business and create better results. 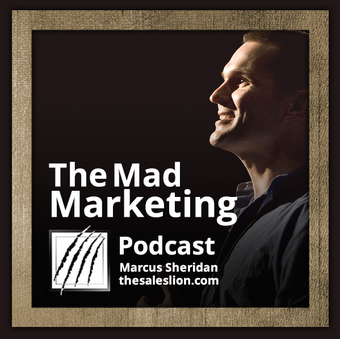 The Mad Marketing Podcast is hosted by Marcus Sheridan, founder of The Sales Lion. Topics include sales, SEO, content creation, metrics, and other marketing areas. 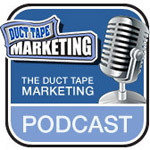 John Jantsch hosts The Duct Tape Marketing Podcast and covers marketing and sales for small business owners. Recent episodes include "Finding Non Obvious Trends"and "Cracking the Content Code." 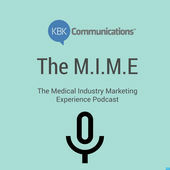 The M.I.M.E -- or Medical Industry Marketing Experience -- focuses on the medical industry and addresses both inbound and outbound approaches to marketing. The podcast is run by KBK Communications. 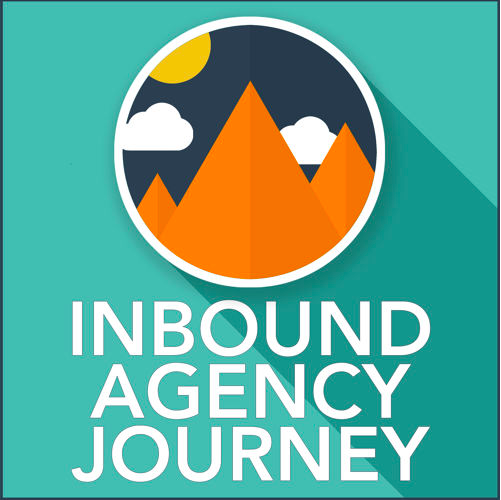 Inbound Agency Journey is hosted by Andrew Dymski, the co-founder of GuavaBox. 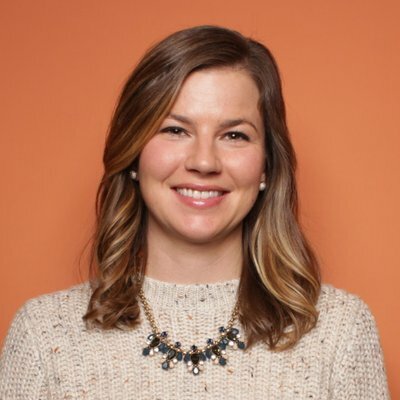 He interviews agency owners who detail their processes, growth plans, how they achieved success in their firm, and what the future of the inbound agency looks like. 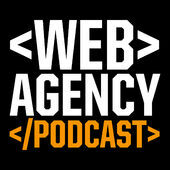 The Web Agency Podcast is hosted by Mat Newton, who owns Tourism Tiger, and Ben Newton. They interview agency owners, graphic designers, and entrepreneurs and discuss business growth strategies, financials, staffing, and marketing.